Last year we got our hands on so many of the best touchscreen laptops we’d ever seen, but Lenovo may have just saved the best for last with the Yoga 920 – the long-awaited sequel to the sublime Yoga 910. 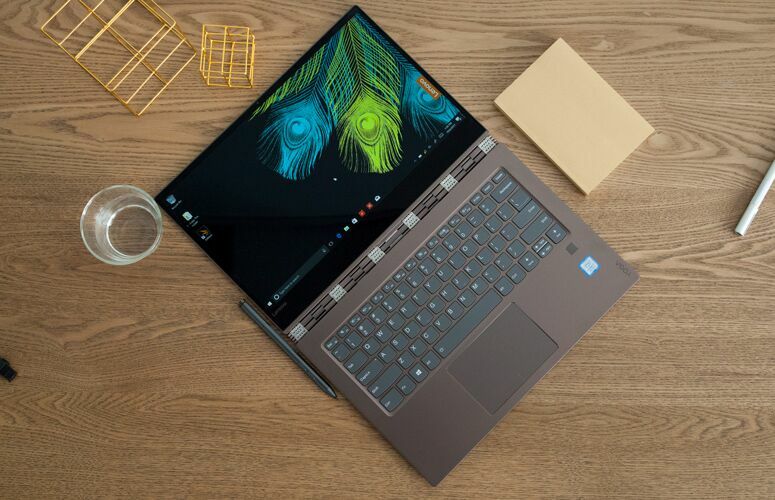 The Lenovo Yoga 920 retains the signature 360 degree hinge while still featuring USB-C and Thunderbolt 3 support, a much better webcam location, an improved keyboard and longer battery life. 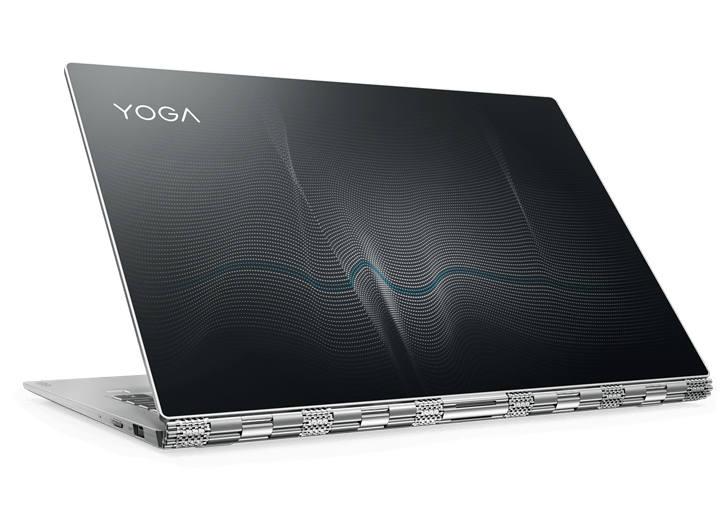 With so many of the best 2-in-1 laptops coming out in 2017, including the simply sublime Surface Book 2, does the Yoga 920 stand out? Well it certainly has its work cut out for it, read on to find out if it truly succeeds. As with other 2-in-1 devices, the Lenovo Yoga 920 comes in different configurations, though thankfully Lenovo hasn’t gone overboard by offering a confusing array of options. The base model comes with an Intel Core i5-8250U processor, 256GB SSD, 8GB RAM, a 13.9-inch 1080p touchscreen and an Active Pen stylus, and costs $1,199.99 / £1,199.99. This model is available in the US and UK. A second model comes with the same spec as above, but features a faster Intel Core i7-8550U processor and larger 512GB SDD. This costs $1,549.99 / £1,349.99 and again is available in the UK and the US. From these prices you can see that in the UK, the higher-specced Yoga 920 offers much better value for money. Finally, there’s a version that features an Intel Core i7-8550U processor, 16GB RAM, up to 1TB of storage and a UHD (3840 x 2160) screen. This model is only available in the US and Australia, and costs $1,999.99 / AU$2,999. Keep in mind that the Australian model is currently capped at 512GB of storage. Australian readers may be a bit miffed about missing out on the lower-specced versions, but at least the price conversion compared to US$ works out very well. Meanwhile, if you’re in the UK you won’t have the option of that 4K screen. While these are quite hefty sums to be parting with, they are around the price we normally see high-end and premium laptops and ultrabooks sell for, and they’re still a fair bit cheaper than the Surface Book 2 (13.5-inch), the smaller version of Microsoft’s 2-in-1, which is comparable to the Yoga 910 in terms of size and power. Prices for that device start at $1,499 (£1,499, around AU$2,600) for which you get a 7th-generation Intel Core i5 CPU, 8GB RAM, 256GB and an integrated GPU. The prices then rise to a pretty steep $2,999 (£2,999, around AU$5,200) for the top-of-the-range model, which comes with an 8th-gen Intel Core i7 CPU, 16GB RAM, 1TB SSD and a GTX 1050 graphics card. That’s quite a difference in price, though it is worth noting that none of the Lenovo 920 configurations come with a dedicated graphics card. 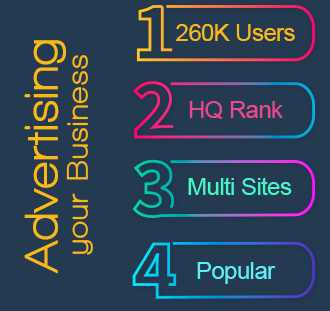 Instead they come with less powerful integrated cards which can handle most tasks absolutely fine, but will suffer when it comes to gaming and video-editing. Overall, though, we feel the prices are pretty good for the various Yoga 920 configurations, and while they’re certainly not cheap, these aren’t ludicrous asking prices for the quality of device you’re getting. Now that it's been updated, is Apple's MacBook Pro finally worth buying again? lenovo yoga 920, lenovo yoga 920 costco, lenovo yoga 920 canada, lenovo yoga 920 best buy canada, lenovo yoga 920 price, lenovo yoga 920 review, lenovo yoga 920 canada price, lenovo yoga 920 best buy. Lenovo Yoga 920 Review - Stunning Design & Fantastic Battery Life!